Arbor Ridge Construction has been serving the home remodeling and renovation needs in Northeastern Ohio for over 35 years. Family owned and operated, our unique knowledge of the area allows us to focus on increasing durability and aesthetic appeal while giving you the project that you deserve. Our commitment is to provide our Ohio customers with quality materials and personalized service. Our experienced team of professionals will help turn your house into a home, a space that meets each of your unique needs while adding curb appeal and increasing your resale value. Your home is your most valuable investment. 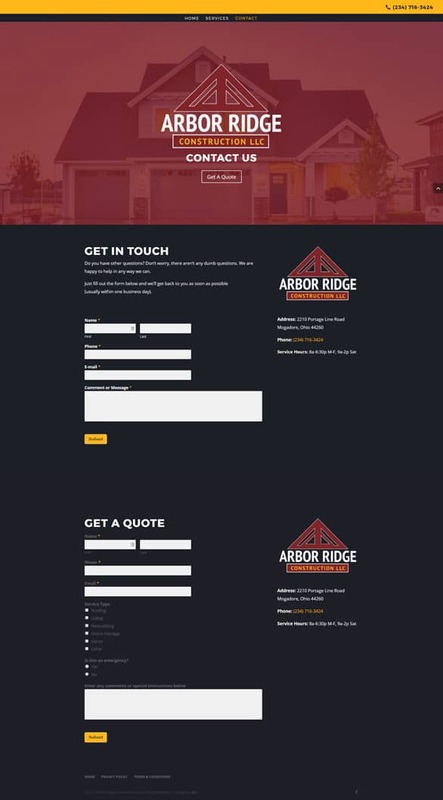 Trust the experts at Arbor Ridge – we pride ourselves on our excellent reputation as one of the premier roofing and general contractors in the Northeast Ohio.